Where to buy quality Montessori toys! Nuccia ran several Montessori Nurseries and established her own school. She started Montessori Design by Nuccia out of a love for making Montessori equipment and is a well-respected member of the UK Montessori community. She’s a lovely lady and her products are my favourites. 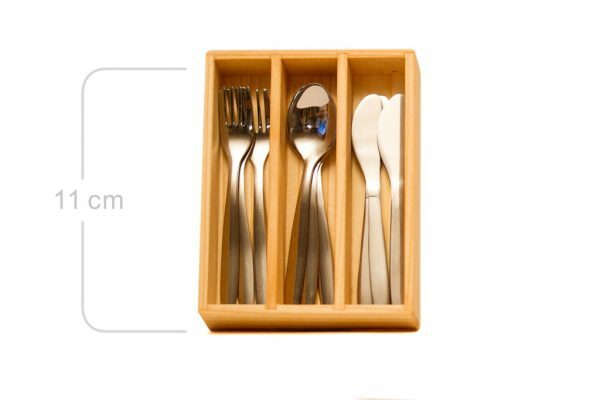 One of our most popular materials is the tiny metal cutlery. Many parents have ordered a set for their home! April and I trained together on the AMI Montessori Primary course in 2004. Since then she has run toddler communities and 3-6 environments in the US and in the UK. She was a Montessori child from age two and is AMI Montessori trained at both the Assistants to Infancy and Primary levels. I use her gorgeous toys and mobiles with our babies and the all-time favourite is the simple Bell on a Ribbon. This family company is run by husband and wife team Leon and Fiona Moon. Fiona is a qualified teacher with over 10 years’ teaching experience in mainstream and Montessori schools. I can’t even remember how much I’ve bought from Fiona at Absorbent Minds but I can say for sure that most of our toys came from here! There are discounted products, high-end from Neinhuis and mid-range from their own brand. Their customer service is excellent and the products are high quality. A brilliant example of a maths-based toddler toy is the Simple Fractions. Michael Olaf was established in 1983 and provides the highest quality of developmentally appropriate items for children. Each has been approved by the co-owner, Susan Stephenson, an AMI Montessori teacher trained at the 0-3, 3-6, and 6-12 levels. 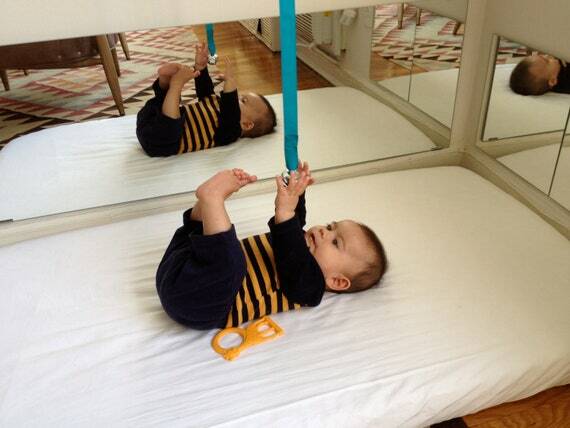 My favourite is the topponcino – the ultimate newborn accessory! We consider a topponcino the single most important shower or baby gift. The importance of the topponcino cannot be overstated. It wraps the infant with security from birth, preventing the startle reflex, and allowing him to be held securely, and easily put down after falling asleep without being awakened. Yet when the infant awakens he is free to exercise his body in the most natural manner, which is not the case when being swaddled. The infant also finds comfort in the feel and smell of his topponcino. Amazing! 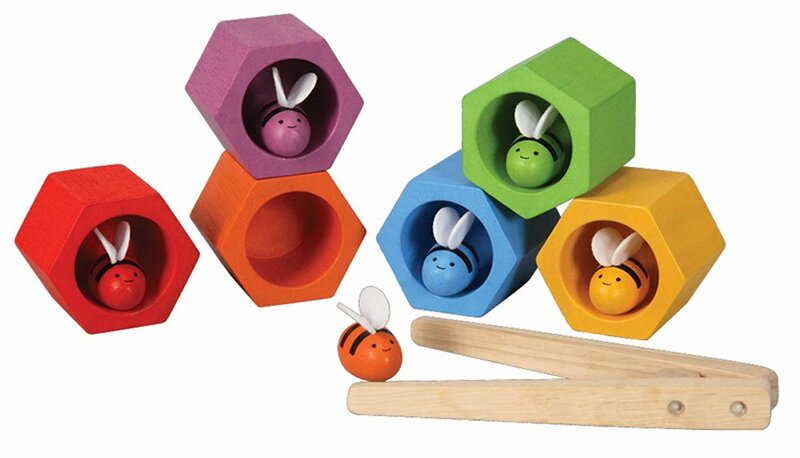 Myriad is not a Montessori toy supplier but I love them because they specialise in quality natural play products, toys, art and craft materials. All made with reverence for the child and the environment. You can sign up for a free catalogue to peruse at your leisure – I always find something new that I didn’t spot on the website. I love the rectangular block crayons for art exploration. The size and shape fits a child’s hand perfectly and gently encourages them to use the correct grip. It’s also a great place to find cooperative games for toddlers and older children – a valuable alternative to standard board games. I’ve also found wooden toys and knobbed puzzles on Amazon, usually Melissa and Doug and Plan Toys. I hope you’ve found these links useful; I’d love to hear about your favourite discoveries!